The Tasmanian Writers Centre has selected four talented and experienced writers to take part in the inaugural Erica Bell Mentorship Program. Successful applicants include Tania Walker (The Blade and the Bow), Karen Johnson (Anzientia), Terry Whitebeach (The True Love Story of David Collins and Terra Nullius), and runner-up Ben Walter (A Guide to Bushwalking in Tasmania: 25 Short Walks). Close to 30 Tasmanian writers applied for the mentorship, each submitting the first 10,000 words of their manuscripts for a chance to secure their place. Writing was accepted across a range of genres including fiction, memoir/biography, and young adult fiction. Administered by the Tasmanian Writers Centre, the program will pair each participant with an acclaimed Australian author who will provide invaluable feedback and advice on the raw manuscripts. Tasmanian Writers Centre director Chris Gallagher joined with a small pool of published authors to assess the manuscripts. She said the positive response to this program “demonstrates both the strength and the diversity of Tasmanian literature”. “It has been exciting to receive applications from writers at every stage of their careers…regardless of how long you’ve been writing for, there’s always more to learn,” Ms Gallagher said. The Erica Bell Mentorship Program follows the success of the inaugural Erica Bell Foundation Awards, which were established in 2014 and awarded grants of up to $10,000 to celebrate excellence in Tasmanian literature and medical research. Meet the inaugural Erica Bell Mentorship Program recipients! Tania’s fantasy fiction has been published in Andromeda Spaceways Inflight Magazine and PodCastle. Tania holds a Diploma of Professional Writing and Editing, and will pursue Honours in Creative Writing at the University of Tasmania in 2017. She also works as a game designer for Jellybean-Games.com. She will be mentored by Lian Tanner – author of highly acclaimed novels as well as children’s trilogies The Keepers and The Hidden. Lian’s books won the Aurealis Award for Children’s Fiction in 2010 and 2011, and have been shortlisted for numerous other awards. Terry is a writer, historian and creative writing teacher and mentor. Her publications include poetry, biography, YA, picture books and radio drama. Terry’s novel Trouble Tomorrow will be published by Allen & Unwin in February 2017. Terry will be mentored by Victorian writer Bruce Pascoe, who was awarded the 2016 NSW Premier’s Literary Awards’ Indigenous Writer’s Prize, the 2013 Prime Minister’s Literary Awards, and recently awarded Book of the Year for his release Dark Emu. 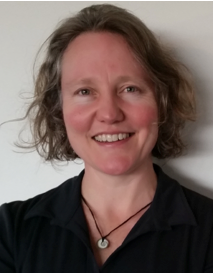 Karen has a PhD in ecology and her papers have been published in scientific journals. 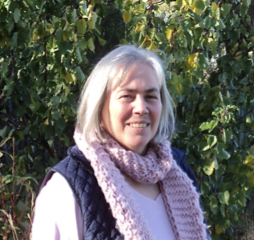 Karen’s ecological work has taken her to remote wilderness areas and agricultural landscapes. The strangeness of the natural world inspired Karen to write her first novel-length manuscript. Karen will be mentored by Launceston writer Rohan Wilson. Rohan won the 2011 Australian/Vogel Award, 2012 NSW Premier’s Literary Award, 2013 Margaret Scott Prize, and 2015 Victorian Premier’s Literary Award for his fiction novel. 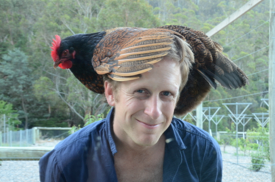 Ben’s experimental short stories and poetry have appeared in Meanjin, Island, Overland, Griffith Review, Southerly, Westerly, Kill Your Darlings, The Lifted Brow, The Canary Press and The Age (forthcoming). Ben was a runner-up in Overland’s 2016 VU Short Story Prize. His poetry manuscripts have twice been shortlisted in the unpublished manuscript category of the Tasmanian Premiers’ Literary Prizes, and he was the recent guest editor for Overland’s anti-/dis-/un-Australian fiction issue. Ben will be mentored by 2007 Sydney Morning Herald Best Young Novelist of the Year winner Danielle Wood. Danielle also won the 2003 Australian/Vogel Award for An Alphabet of Light and Dark, and she collaborates with Heather Rose on the Angelica Banks series for children.